Police officials at Scotland Yard have arrested Julian Assange, but there are reportedly back channel moves to protect him from death. The WikiLeaks founder was arrested by police in London when Ecuador decided to withdraw his lengthy diplomatic asylum. The president of Ecuador reportedly received guarantees from The UK that Julian Assange would not be extradited to any nation which could charge him with crimes leading to the death penalty. He adds that Vladimir Putin says Russia wants Assange's rights must be observed following his arrest. "Julian Assange, 47, has today, Thursday 11 April, been arrested by officers from the Metropolitan Police Service (MPS) at the Embassy of Ecuador, Hans Crescent, SW1 on a warrant issued by Westminster Magistrates' Court on 29 June 2012, for failing to surrender to the court," the Metropolitan police said in a statement. “He has been taken into custody at a central London police station where he will remain, before being presented before Westminster Magistrates' Court as soon as is possible." 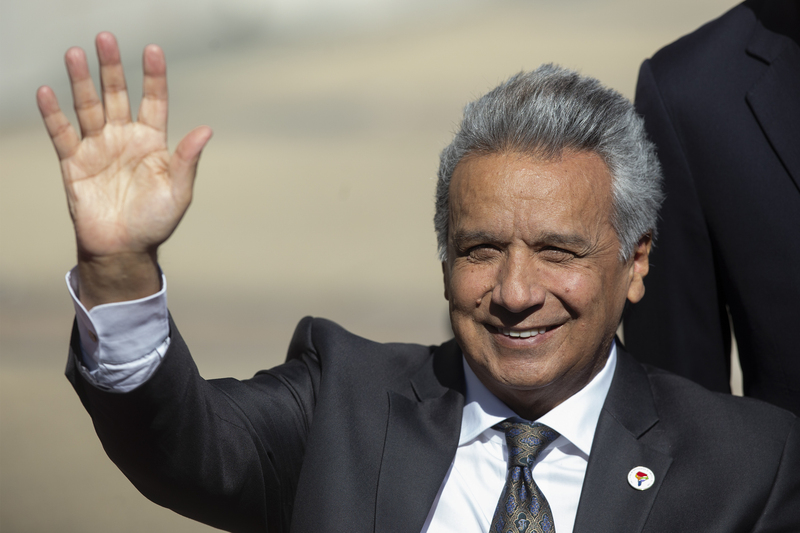 Lenín Moreno on Twitter: "Ecuador decidió soberanamente retirar el asilo diplomático a Julian Assange por violar reiteradamente convenciones internacionales y protocolo de convivencia. #EcuadorSoberano… https://t.co/bZicipRBdi" - Lenín Moreno on Twitter: "Ecuador decidió soberanamente retirar el asilo diplomático a Julian Assange por violar reiteradamente convenciones internacionales y protocolo de convivencia. #EcuadorSoberano… https://t.co/bZicipRBdi"